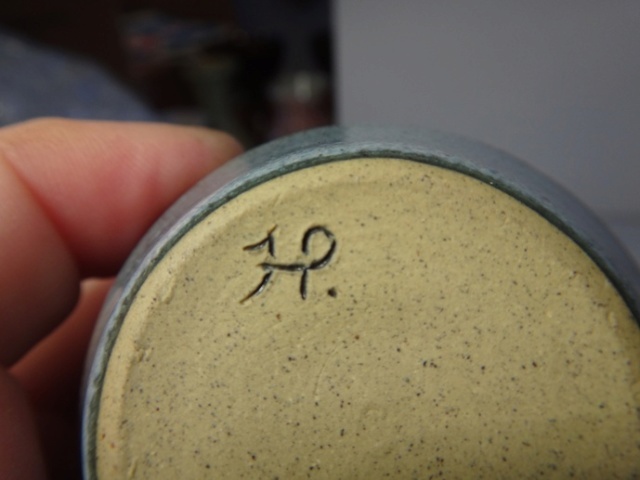 SMALL BROWN EXPERIMENTAL POT INCISED HP. - Helen Pincombe? Or Haven? Found this little pot and loved the glaze, obviously used as a test piece, only mark I have found is like Helen Pincombe. What do you think? The HP is incised and the rest painted on. 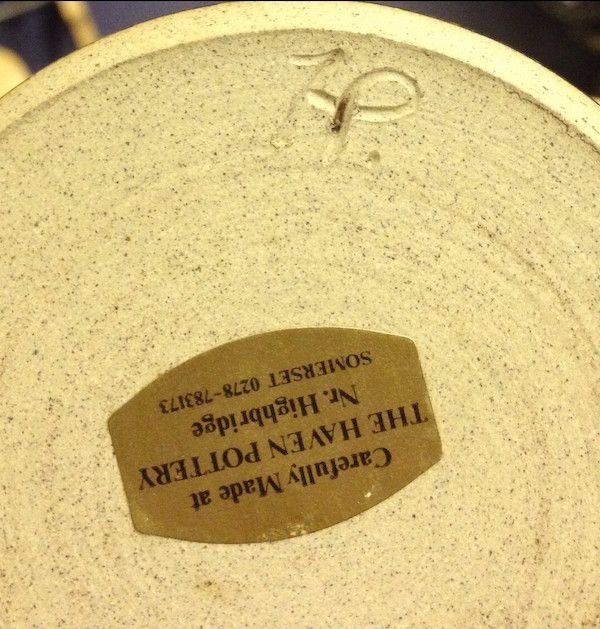 Re: SMALL BROWN EXPERIMENTAL POT INCISED HP. - Helen Pincombe? Or Haven? Thanks both of you, I suppose with an incised mark it can vary a bit. The clay body is similar too. My piece is a late one, made when she was living in Cambridge (1974-78) if that helps. She did Impressed , Incised and even painted full name on some pieces along with various numbers , so yes an incised mark would vary . Same smooth finish to the glaze edge , would like to think it is, as it was my mothers I will never know where she picked it up from, her sister was a potter and on her visits they were always hunting for pottery.